With just one-sixth of the US money targeted for the Iraq war, you could convert all cars in America to run on ethanol. 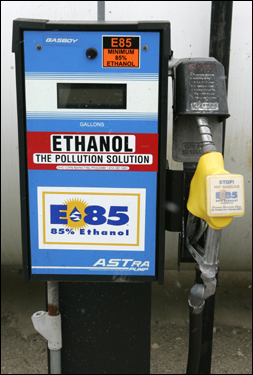 TheBudgetGraph.com estimates that converting the 136,568,083 registered cars in the United States to ethanol (conversion kits at $500) would cost $68.2 billion. What would YOU buy with $604 billion?